This is a great neon to add to your collection. 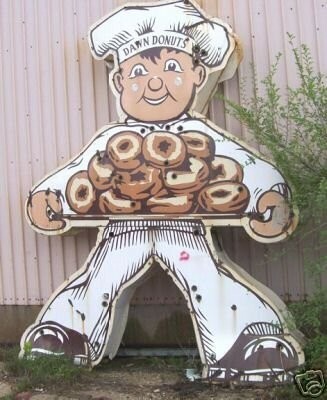 This sign features a well illustrated chef-boy holding a plate of donuts. The sign stands 11 feet tall and 9 feet wide and is hooked up for neon lights. This sign likely made its debut in the mid 1950s based on the style.